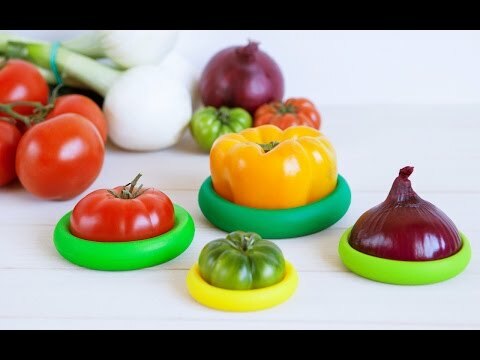 Set of five silicone food savers. 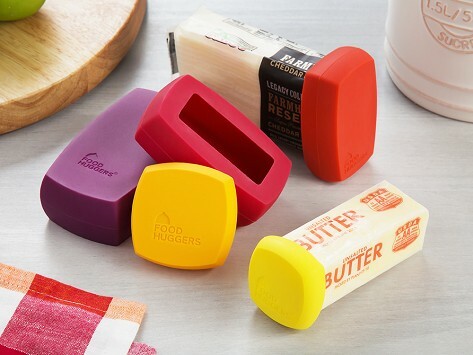 Food Huggers create a tight seal by wrapping around your leftover stick butter and chunks of cheese. Stop struggling with aluminum foil or plastic wrap and slip on a reusable, dishwasher safe cover instead. Dimensions (in packaging): 9.5" x 6.25" x 1.4"